According to the Thomson Reuters survey, one in every five firms’ is planning to launch crypto trading in 12 months. The survey comprised of hedge funds, top banks, and asset managers. This development means a huge influx of fresh cash will compete for the limited sum of digital currencies. Investment Bank, Goldman Sachs has made the first move following this development by going ahead to hire virtual currency trader Justin Schmidt, to lead its crypto assets market division. Once the investment bank enters the cryptocurrency ecosystem, others are expected to take the plunge as well. Crypto Investor Tim Draper believes that Bitcoin evolution is larger than the Renaissance, internet, the industrial revolution and even the Iron Age. It has come to stay. Crypto exchanges are starting to recognize the need to improve their services. Recently, 16 exchanges in Japan all registered with the Financial Services Agency of the country have formed a group known as the Japan Cryptocurrency Exchange Association (Nihon Kasotsuka Kokangyo Kyokai) with the sole purpose of imposing self-regulation and boosting security in the virtual currency ecosystem. Bitcoin hit the $10,000 mark via profit booking. The trendline hasn’t offered any support but the Bitcoin/USD pair can move into the 20-day EMA. Should the moving average fail to show any support, the slide may get up to $8000. Hence retaining stops on the leftover position at the breakeven. Some buying is expected at the $8,770 mark because the moving average completed a bullish shift. If this estimation proves true Bitcoin should move beyond the $10,000 mark to $12,000. 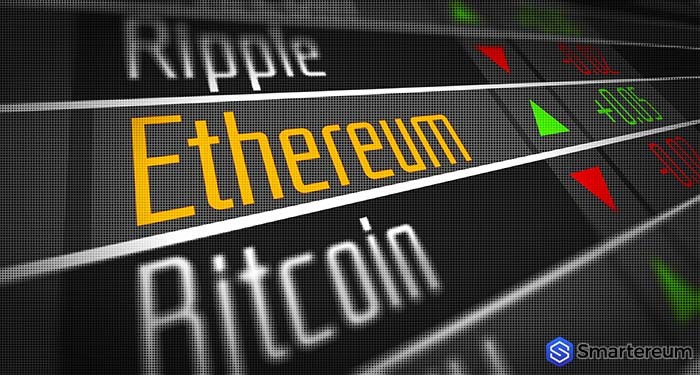 Ethereum floundered below $712 (its previous peak position) on April 24. It currently sits at $600. If the support is maintained, we can expect the virtual currency to rally up to the $745 mark. On April 24, Bitcoin Cash came close to the $1,600 mark when it achieved a high of $1,590.7825. We had initially speculated that the virtual currency’s tendency to get sharp plunges and vertical rallies isn’t unusual. It is likely that traders would have protected profits via a trailing stop loss. The pair is currently managing support at the $1,200 mark. If this mark is sustained, we should anticipate a consolidation between the $1,200 and $1,600 levels. 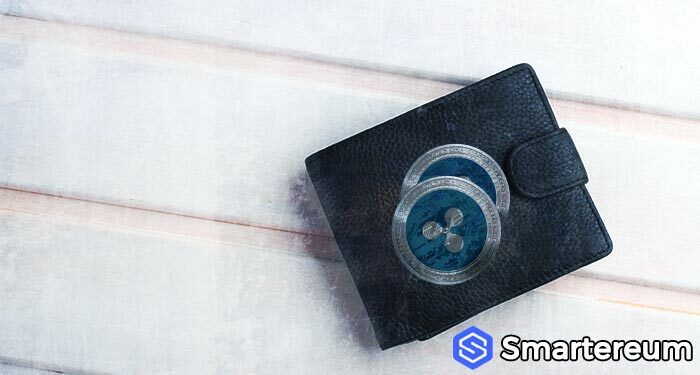 Ripple failed to resume its upward move. It has given up ground. It is managing to hold the trendline and if the support is sustained, we should see it rally to $1.08. If the Ripple/USD pair peaks below the $0.78 mark, it can slide into the 20-day EMA. Stellar failed to stay beyond the $0.4 mark. It has broken below the $0.36 immediate support but has slid into the 20-day EMA. There is a possibility that the pair can range between the $0.184 and $0.4 levels. Litecoin is facing higher levels after breaking out of the $160 mark. However, it plunged just one day after the breakout. If the Litecoin and USD pair fail to find support on the down trendline, as well as achieving moving averages, and horizontal support at the $141.026 level, it can slide to the $115 mark. Cardano has returned from the 0.000035 level after failing in its attempt to break out for eight days. It is currently below the level of 0.00003 although it has slid into the 20-day EMA. The NEO/USD pair failed to sustain the $80 level as of press time. Prices are currently below $80 once again. Hence, indicating a lack of purchasing and profit booking on higher levels. EOS surpassed the $13 mark. Though it is anticipated that it will face resistance at the $14 level. It reached an intraday high by getting to the $16.1460 level. We also anticipate resistance at $16 the same level the pair returned this January. We may see some consolidation in coming days. A breakout beyond the January 13 $18.67 mark will be positive for the cryptocurrency as it can take the upward move further.